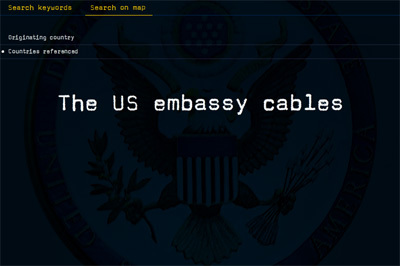 The WikiLeaks website, which contains thousands of U.S. embassy cables, has crashed in an apparent cyberattack. The anti-secrecy organization said in a Twitter message Tuesday that Wikileaks.org "is presently under attack." 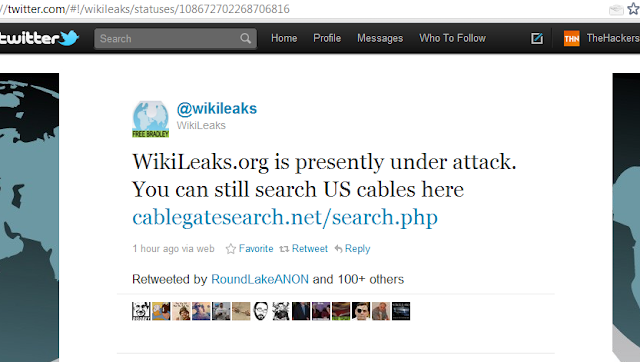 Wikileaks.org today released 250,000 U.S. diplomatic cables that have apparently caused grave concern in Western governments. The documents have already revealed that the U.S. has been spying on the United Nations Secretary General. State Department spokeswoman Victoria Nuland would not confirm the authenticity of the latest documents, but said "the United States strongly condemns any illegal disclosure of classified information."